After rebounding from the level of 38.2%, Euro is expected to continue its correction, at least. The market may continue falling down towards the target area, where there are several fibo-levels at the same time. If the price breaks these levels, the pair will continue moving towards the level of 1.2835. A local correction finished near the level of 61.8%. A short term-target is at the level of 1.2920. Analysis of fibo-zones indicates that predicted levels may be reached during 24 hours. Franc rebounded from the level of 61.8% and started growing up. 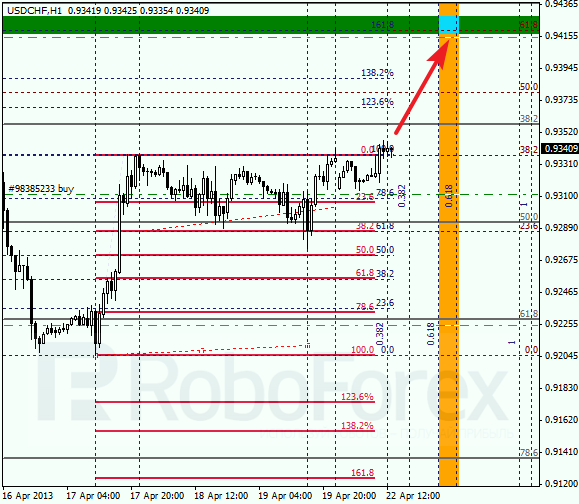 The target for the next several days is at the level of 0.9415, where there are several fibo-levels at the same time. 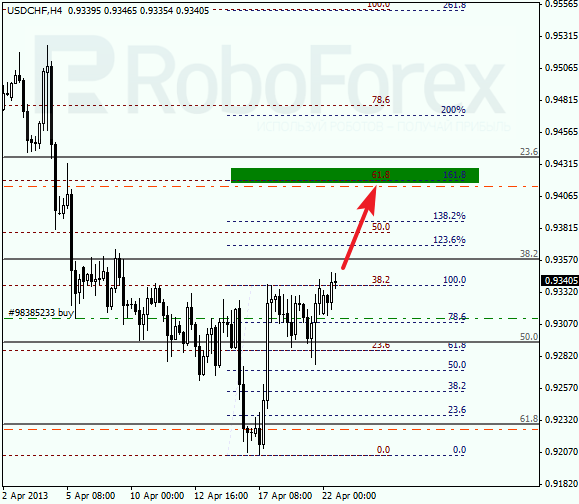 If the price breaks these levels, the pair will continue moving upwards to reach the target at 0.9470. At the H1 chart, a local correction finished at the level of 38.2%. According to the analysis of temporary fibo-zones, the market may reach target levels by the beginning of Tuesday. Most likely, in the nearest future the price will start growing up again.